Hello Everyone, yes it has been a long time since we have had a fully fledged newsletter. I must apologize to not only our valued members but also members of staff. This year I have not spent much time here at X64bit, however in my spare time I will do what I can. Starting off with our latest newsletter. This year has seen a lot of technological enhancements, ranging from Vista SP1 to Ubuntu 8.04 to even the release of the Iphone 3G. The much awaited service pack for Vista was released in mid-March and the rest in April of this year. At first it was met with much criticism however as time as moved forward. 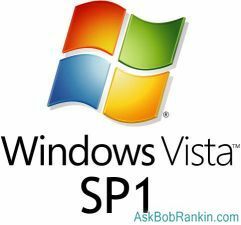 It seems that SP1 has fixed many issues users were having with Microsoft Vista SP1. * Improves the time to read large images by approximately 50%. * Improves IE performance on certain Jscript intensive websites, bringing performance in line with previous IE releases. * Improves responsiveness when doing many kinds of file or media manipulations. For example, with Windows Vista today, copying files after deleting a different set of files can make the copy operation take longer than needed. In SP1, the file copy time is the same as if no files were initially deleted. * Addresses a problem that caused a delay of up to 5 minutes after boot with specific ReadyDrive capable hard drives. * Improves the effectiveness of a Windows ReadyBoost™ device in reducing the time to resume from standby and hibernate by increasing the amount of data stored in the ReadyBoost device that can be used during a resume cycle. Desktop: April 2011. Ubuntu 8.04 has seen many improvements over its predecessors. At first this release was plauged by problems; however the release of 8.04.1 saw most of these errors removed. buntu 8.04 (Hardy Heron), released on 2008-04-24, is Canonical's eighth and latest release of Ubuntu Linux. It is the second Long Term Support (LTS) release. Ubuntu 8.04's support will end in April 2011 for desktops and April 2013 for servers. Ubuntu 8.04 included several new features, among them Tracker desktop search integration, Brasero disk burner, Transmission BitTorrent client, Vinagre VNC client, system sound through PulseAudio, and Active Directory authentication and login using Likewise Open. In addition Ubuntu 8.04 included updates for better Tango compliance, various Compiz usability improvements, automatic grabbing and releasing of the mouse cursor when running on a VMware virtual machine, and an easier method to remove Ubuntu. Ubuntu 8.04 is the first version of Ubuntu to include the Wubi installer on the LiveCD that allows Ubuntu to be installed as a single file on a Windows hard drive without the need to repartition the disk. The desktop installation of Ubuntu 8.04 included, among other programs, GIMP 2.4, GNOME 2.22, Mozilla Firefox 3.0 Beta 5, OpenOffice.org 2.4, and Pidgin 2.4. The server installation included MySQL 5.0, PHP 5.2, Python 2.5. Ubuntu 8.04 uses Linux 2.6.24 and X.Org 7.3. It almost seems every time a new Microsoft Operating System has been released, a new one is leaked while its still in alpha etc. Windows 7, or the OS previously known as Vienna. Milestone 1 was floating around on the web a couple of months back. We managed to get our hands on it. 2008 Has proved to be a success for the Firefox community. They released Firefox 3 which has seen many improvements. The implementation of Gecko 1.9. This allows Firefox 3 to pass the Acid 2 test. A new internal memory allocator, jemalloc. Not to mention Firefox 3 broke the world record for most downloaded piece of software in 24 hours. Hey that's all for this month folks. Hope that has brought you all up to speed with things.